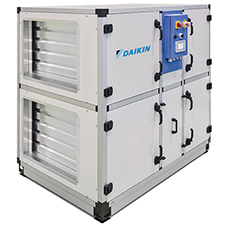 Daikin Applied Service has been providing tailored HVAC Service & Maintenance solutions for over 25 years. 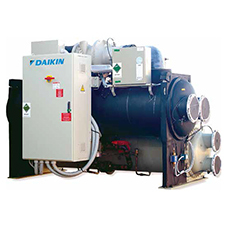 Daikin’s service division’s strength is in working closely with Healthcare Facilities Managers to not only maintain the building plant for critical continuous operation but to continuously monitor the systems with the target of preventative maintenance, reducing downtime and ultimately reducing the building energy usage. 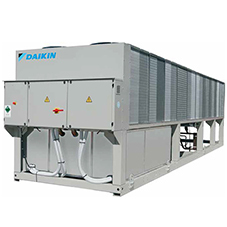 Both chiller plant and air handling unit plant systems need to be regularly maintained to ensure smooth, trouble free operation. With a regular service and maintenance unexpected breakdowns can be reduced by up to 70% with system operation downtime reduced by up to 40%. 1. Mechanical check – such as chilled water checks on flow switch, air in the system and pressure drop. 2. Refrigeration check – such as suction and discharge pressure and superheat and expansion valve operation. 3. Electrical inspection – such as on wiring, sensors, high pressure switches, operating currents and transducers. 4. Unit inspection – such as fault generation and response monitoring, controls values and settings. These service areas covered will help ensure that the chiller remains in good working order. Whilst Air Handling Unit maintenance may be considered a more simple service regime, ensuring that filters are clean or replaced on a regular basis, it is also important to check fundamental unit operations such as belt tensions, damper operation and electrical connection tightness to ensure that the unit will operate when it is called for. 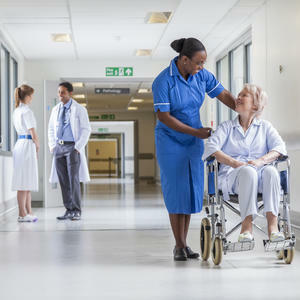 As part of any service and maintenance agreement preventative maintenance is the key however there are sometimes still unforeseen breakdowns, which for the Healthcare Sector is a particular issue due to the critical nature of the application. With over 50 in-field service engineers, 24/7 call out response and locally UK stored spares department Daikin Applied Service can cover the healthcare industry needs for the most mission critical installations. The next step change in service and maintenance will be remote monitoring of plant via Daikin on Site which will enable even greater levels of forward planning of maintenance and remote diagnostics of problems, further reducing downtime of all plant.